If you're traveling with a large group, you have two options: You either rent an Airbnb of questionable size or quality, or you spend more than you want and end up with cramped, sometimes pricey, hotel rooms. But in 2019 and beyond, all of that might change: Imagine that your next group trip — think a family reunion or a bachelorette party — takes place in a chic "apartment" where you have a front desk, a bar, and some of the amenities of a hotel, with all the comforts of home. It exists … and it's called an apartment-hotel. "Society and the way we travel has evolved at a rapid rate, but hotels have been slower to catch up," explains Philip Bates, the CEO of apartment-hotel Bode. The company opened its first property in Nashville, Tennessee, last year and will debut a Chattanooga, Tennessee, location in March. Bode also has three more California properties in the pipeline for 2020. 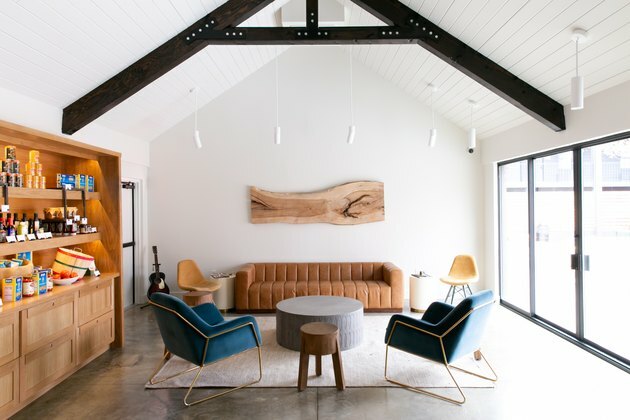 "Hotels have done a really good job of boutique design, finding locally-sourced goods, and providing spaces that are authentic to a specific region, but one thing we feel was missed is being able to meet the needs of people traveling in a group." Straddling the line between an Airbnb and a traditional hotel, apartment-hotels usually feature multi-room layouts with kitchens or kitchenettes and "light-touch" services like minimal housekeeping and front desk staff. There aren't going to be five restaurants here, but that's all for the better. "Hotels offer what they offer, and Airbnbs are largely repurposed residential properties," Bates told Hunker. "We challenged our architects and designers to think of this as a new, third product type." A common area at Bode Nashville features a pantry stocked with food items for purchase. Unlike Airbnbs, guests at an apartment-hotel can typically expect a 24-hour concierge; common areas like a business center, a pool, or perhaps a bar; and consistency across the board, ranging from branded toiletries to custom furniture and lighting. Guests will find that the consistency can come at a bit of a price, however. 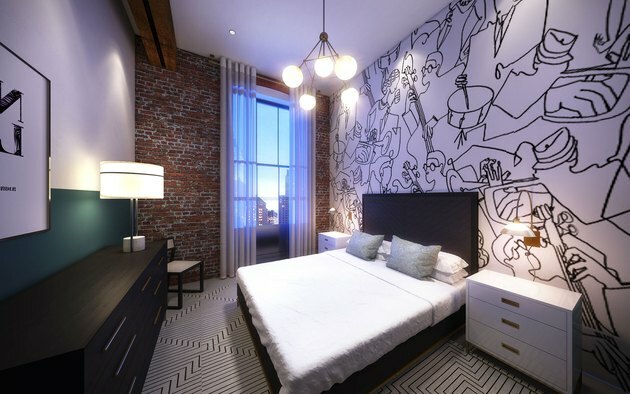 Domio, one of the largest and fastest-growing players in the apartment-hotel space, just opened its first full upscale property in a historic warehouse building on Baronne Street in New Orleans, and plans to open 25 more "apart hotels" over the next few years. 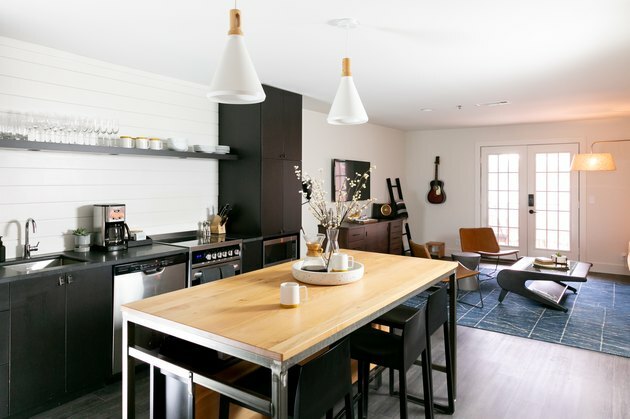 Domio's 1,100-square-foot two-bedroom, one bathroom layout sleeps seven people and starts at $419. A quick glance at Airbnb shows comparable New Orleans properties ranging from $200 and up. Like a traditional hotel, the Domio property has a concierge, a gym, and a 38-foot rooftop pool. "These apartment-hotels might also be more appropriate for business travelers than an Airbnb, since they potentially need more built-in amenities but don't necessarily want heavy-handed service," Airbnb owner (and Hunker's creative director) Paul Anderson shared. He noted that Airbnb does have options that err more on the side of apartment-hotels, like with its Airbnb Plus homes, which are verified for comfort. There's also a "for work" filter on Airbnb (under "trip type"), curating homes that meet certain requirements for business travelers. None of these options, however, include a bar, restaurant, or housekeeping, of course. Another one of the most significant distinctions between an average hotel and an apartment-hotel (or maybe even an Airbnb) is the design. Apartment-hotel companies are working to create spaces that feel welcoming to all and at the same time, make you want to take everything home with you. When was the last time you said that about a hotel room's furniture? 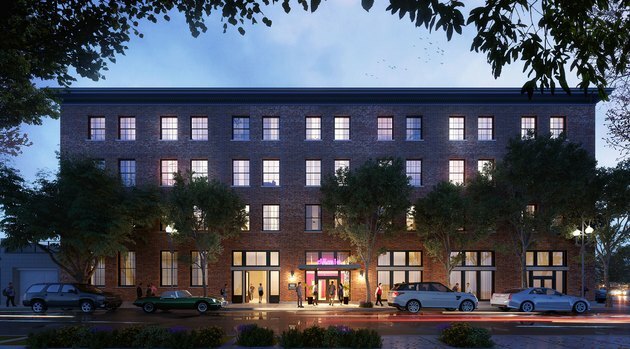 An exterior rendering of Domio's new New Orleans apartment-hotel. "We wanted things to be timeless, and we never want to alienate a certain style," says Olivia Hnatyshin, the head of branding and design for Domio. "Maybe the sofa's not totally your style, but you love the chairs." Hnatyshin's team worked to create an eclectic property that draws on art history, surrounding architecture, and local influence. A queen bedroom at Domio's Baronne Street property. "We want it to feel like your really good friend's apartment that you love and you're like, 'Where did you get this, and can you come over and do this at my house?'" Hnatyshin says.